Feb. 11 (NBD) -- Apple is facing a tough road to encourage users to upgrade their devices. Statistics from BayStreet Research revealed that in 2015, people used to replace iPhone every two years. Such period has extended to about three years and is likely to be drawn out in the future. Analyst Toni Sacconaghi at Bernstein echoed the report, saying that the iPhone upgrade cycle for the average consumer is now four years long. According to Sacconaghi, only 16 percent of iPhone users will upgrade this year. The analyst attributed the reducing phone upgrading frequency to Apple's battery replacement program, subsidy cuts for operators and climbing retail prices for iPhones. In addition, iPhone unit sales are predicted to tumble 19 percent in fiscal 2019, though the iPhone installed base grew to the tune of 9 percent last year. The tech giant has been wrestling with plummeting iPhone sales since the second half of last year after it failed to transform itself into a luxury brand with higher prices. Last Tuesday, Apple announced senior vice president of retail Angela Ahrendts, who is the former chief executive of Burberry and attempted to introduce luxury fixtures to Apple, will leave the company in April and Deirdre O'Brien will succeed her as retail chief. 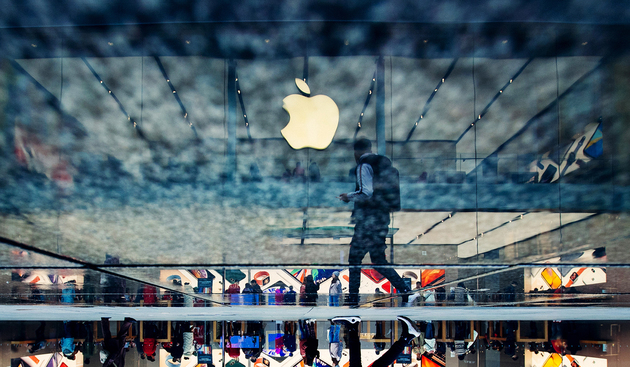 Ahrendts' departure indicates Apple's intention to adjust its retailing strategy. Due to the overpricing of products and changing world economic background, the company's revenue from iPhone dipped 15 percent year over year in the first quarter of fiscal 2019 ended December 29, 2018. It is believed that the sluggish sales in China, which is one of the biggest markets for Apple, seriously dragged down the performance of the tech titan. Apple's revenue from China business registered 13.17 billion U.S. dollars in the quarter, marking a 27.8 percent drop from a year ago. In the year 2018, China's iPhone shipment fell to 34.2 million units, down 22 percent compared to the figure for 2017, research institution Strategy Analytics reported. Seen as Apple's effort to revive sales, its China retailers started to slash iPhone prices from early January and some models even endured a price cut of 1,700 yuan (251.9 U.S. dollars). JD.com, an online seller of consumer electronics, sold the iPhone 8 and iPhone 8 Plus at 3,999 yuan (592.5 U.S. dollars) and 4,799 yuan (711.0 U.S. dollars), respectively, with a discount of 1,100 yuan (163.0 U.S. dollars) and 1,200 yuan (177.8 U.S. dollars). The price of the iPhone XS Max on another e-commerce platform Pinduoduo was as low as 8,099 yuan (1,199.9 U.S. dollars), 1,500 yuan (222.2 U.S. dollars) less than the device's sticker price in China. The iPhone sales of Tmall and Suning reportedly both have jumped by around 80 percent as of January 30 since the price cuts. Some held the first-ever price reduction fuels short-term sales boost, yet it will damage Apple's price system and brand image. For Apple, which always pursues higher profit margin, cutting prices means lower profit, some analysts pointed out. Besides, Apple is gradually losing the pricing right of products, and it has to follow the price trend of the market.